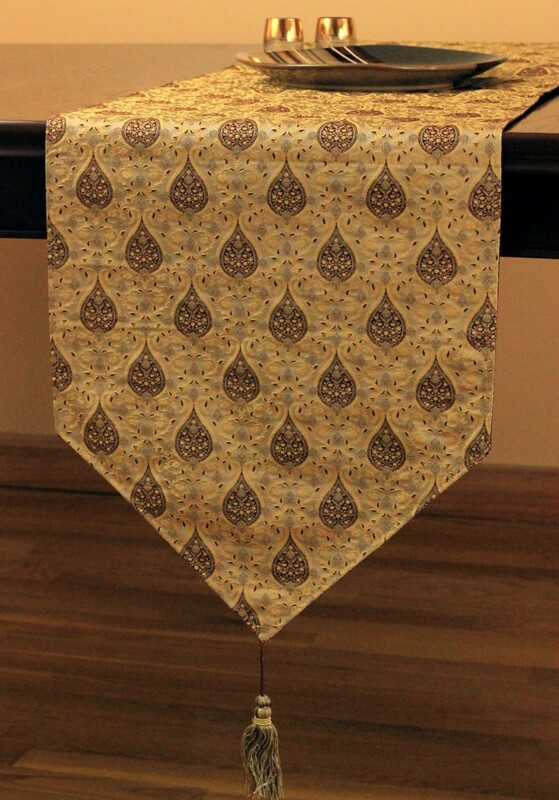 Gorgeous jacquard table runner features whimsical yet elegant design for a practical yet luxurious look for your table. If you are looking for a table runner that is both stylish and sophisticated while still being practical enough for everyday use, look no further than the Chic Jacquard Table Runner. With stunning patterns woven directly into the fabric, this table runner gives your furniture the look you want. Perfect for tables all around the home, dressers, vanities and more; you can add an extra special touch to any room with this simple yet elegant accessory. 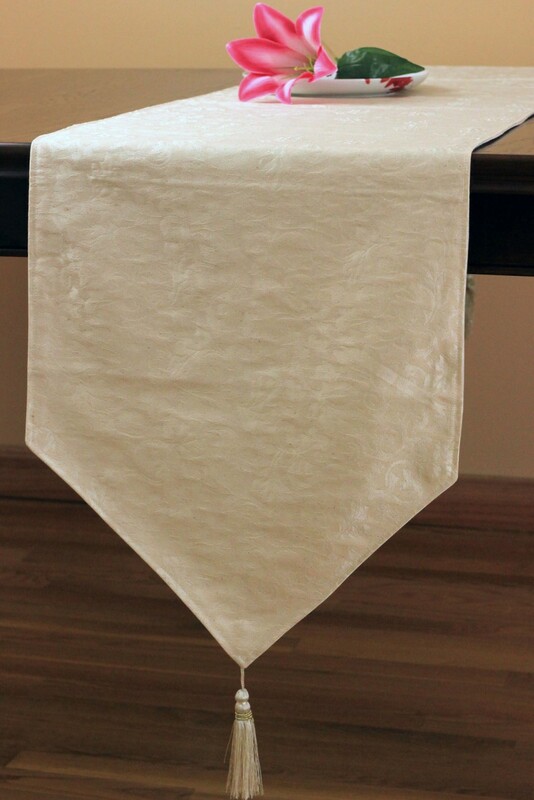 Designed to work well with a variety of décor palettes, you can be confident that this table runner will give your home a look of sleek sophistication. 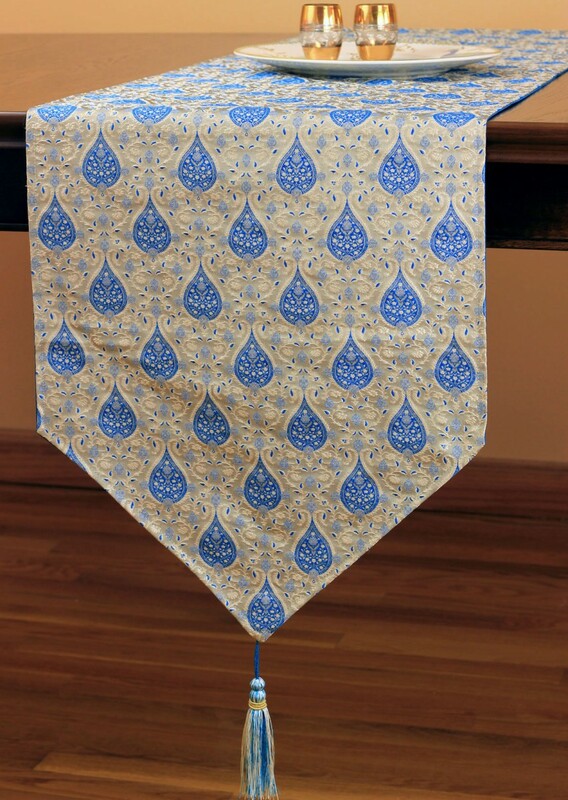 Crafted in India, this table runner is available sizes: 70" x 16" and 118" x 16". Hand wash / Dry clean. Professional cleaning recommended for hand embroidered and beaded fabrics.